Special thanks to all the Lake Oswego High School students who worked hard in Springbrook Park as part of their Community Service Day. 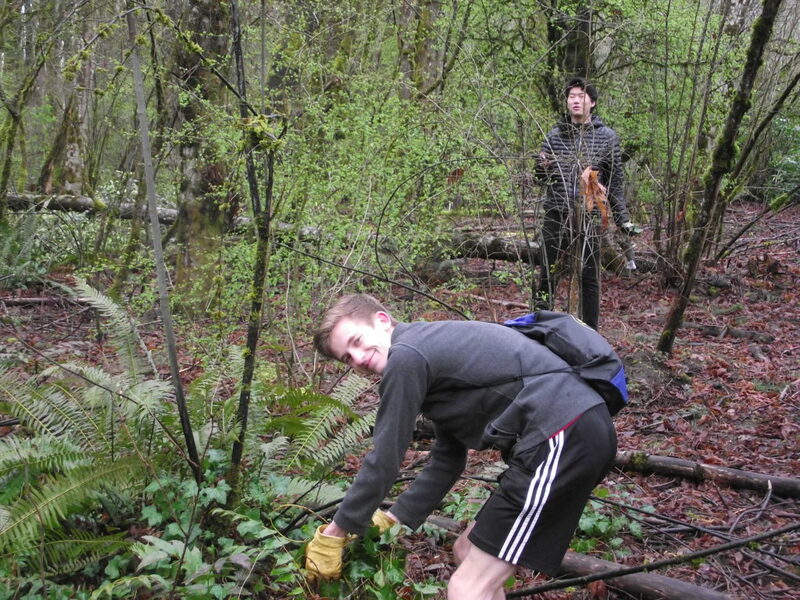 On Friday morning, March 23 they covered a wide area to remove Ivy from native plants, trees and ferns. Their energy and enthusiasm was wonderful. Thank you so much. This entry was posted on March 23, 2018, in 2018. Bookmark the permalink.